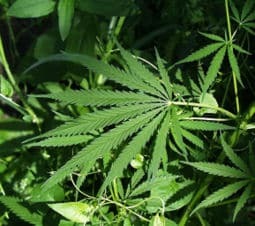 Marijuana legalization efforts nationwide have come a long way over the past few decades, moving from decriminalization of small amounts in some quarters, to medical marijuana legalization, to legalization in several states, to outright legalized cannabis vending in such states as Colorado. As a Fairfax criminal lawyer, I know the importance of legalizing cannabis. The forward movement with marijuana’s legal status in many states has been astoundingly wonderful, but sluggish in Virginia and at the federal level. Federally, marijuana remains classified as a Schedule I controlled substance, which is the same category as heroin; that makes no sense. Perhaps slowly, but surely, Virginia voters and lawmakers will see how the sky has not fallen in the nation’s capital, Washington, D.C., which got marijuana possession legalized (except not public consumption, even though I regularly smell it being smoked outside in D.C.) without a Congressional veto. Nor has the sky fallen in Maryland, where personal possession of under ten grams of marijuana only is a civil offense. Yes, police love marijuana’s criminalized status, to use pot’s smell as an excuse to search people, their cars and other belongings. And perhaps some police love criminalized marijuana as an easy way to show that they are not asleep on the job. Marijuana legalization is the way to go. Legalizing marijuana will free up limited police, prosecutorial, and judicial resources to focus on more serious crime that has an exceedingly higher detrimental effect on society. Marijuana legalization will serve civil liberties in our society that is over-policed in a way that is antithetical to a free, open, and democratic society. Marijuana legalization will alleviate all the hoops that medicinal cannabis users need to clear in many states even to consume marijuana lawfully. As a Fairfax criminal lawyer, I have seen too well the damage that criminalizing marijuana causes. Thanks to United States Senator Cory Booker (D. NJ) (a fellow vegan at that) for being so very vocal in favor of legalizing marijuana. We marijuana legalization supporters need to encourage him on this path. Booker has introduced bills to repeal and offset the harshness of marijuana laws. He chides lawmakers who wrongheadedly stereotype the slew of marijuana consumers as lazy. He probably speaks for countless other lawmakers not ready to take as bold a marijuan legalization stand. Thanks to Senator Cory Booker for supporting marijuana legalization. Fairfax criminal lawyer Jonathan L. Katz has successfully defended hundreds of drug defendants since 1991. To discuss your case with Jon, please call his staff at 703-383-1100 to schedule a confidential appointment.